Almost 18 years since its first release, Onimusha: Warlords has been remastered for current generation consoles in a mostly surprising move by Capcom. Originally developed based on the concept of Resident Evil, but in a ninja setting, Onimusha: Warlords holds up very well. While I’ve never experienced the title in its original form, its graphics at the very least appear to be quite similar to its original release. Despite this, Onimusha: Warlords holds up competently as a fun, classic-feeling title. Onimusha: Warlords takes place in the Sengoku period, and follows the exploits of samurai Samonosuke Akechi. Specifically, Samonosuke goes to Inabayama Castle at the behest of his cousin Princess Yuki, who is wary of strange occurrences and disappearances of the castle staff. Upon his arrival, the castle is under attack by monsters and Princess Yuki is abducted. Samonosuke is soon presented with the power of the oni to aid in his endeavor, which crosses with that of historical figures such as Nobunaga Oda and Toyotomi Hideyoshi. While the premise is quite basic in nature, the narrative is increasingly intriguing, and the mysterious aspects spread throughout only make the story that much better. Despite the mystery and horror elements in the game, I couldn’t help but feel that I had to make a few inferences in order to piece together parts of the story in the early portions. The gameplay of Onimusha: Warlords is best described as an action-adventure with some puzzle elements. For those familiar with the classic Resident Evil formula, Onimusha: Warlords feels quite similar. The game allows for players to navigate the castle and battle demons. In addition to combat, the game has various puzzles that require solving, as well as utilizing items in order to advance, such as using a rope ladder in order to descend a cliff. 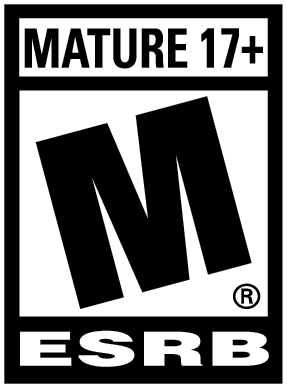 The combat in the game was surprisingly fluid given the games age, though I am unable to speak to how the game played during its original release. The various weapons and combat styles all felt useful and unique in their own ways, and enemy types were diverse and posed a fair challenge. The game’s puzzles, both optional and mandatory, posed threats of various levels. While the puzzles were quite easy when you figure out the mechanics behind them, some of them were a bit annoying in that failure of the puzzle meant instant death, and the game does not feature an auto-save system. Overall, the gameplay of Onimusha: Warlords was fun and effective, though some now outdated design elements could have used some updating. 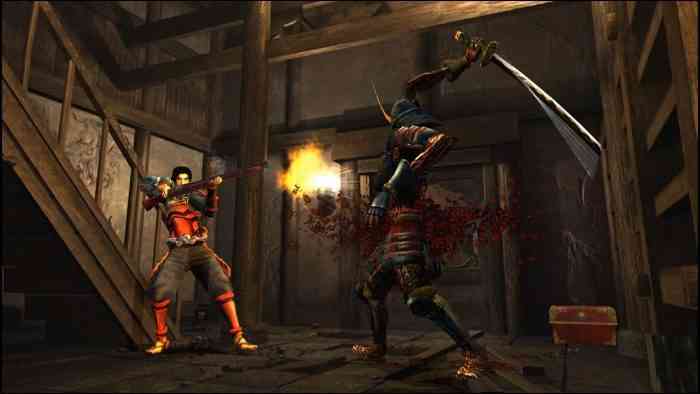 Onimusha: Warlords utilizes a pre-rendered background in the game as well as fixed camera angles. This allows players to navigate through the game from the perspectives that the game was meant to be seen. While the backgrounds are detailed and intriguing for the most part, the fixed camera angles were somewhat annoying, especially during combat as enemies would often disappear off-screen due to moving Samonosuke too far in a certain direction. While the camera angles were a bit frustrating, the game overall looks decent and works for the title. Upon comparisons to videos of the title from its original release, Onimusha: Warlords looks very similar. Whether you consider this to be “a faithful port” or “a lazy disappointment” is up to you, but I enjoyed playing through Onimusha: Warlords just fine the way it looks. Likewise, the music in the game was effective, providing a soundtrack that oozes that feudal Japan era feel, though most of the time it faded into the background of the atmosphere or action. Onimusha: Warlords is a fun remaster for those who have not experienced the franchise. While the remaster may not provide much new content for past players, it is undoubtedly a worthwhile experience for everyone else. Despite some design decisions of the past which haunt the remaster, namely the fixed camera and save system, Onimusha: Warlords is a classic title worthy of a playthrough. With Capcom re-establishing itself as a force in the industry with some of its latest releases, one can only wonder where the Onimusha series goes from here.